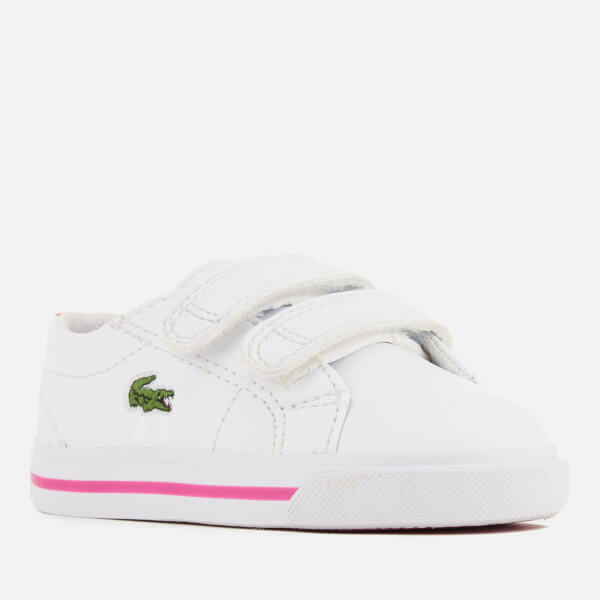 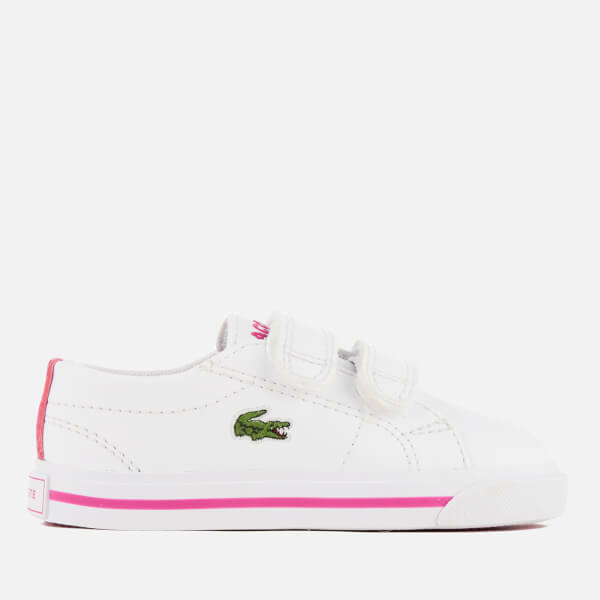 Toddlers’ white low top trainers with contrast pink accents from Lacoste. 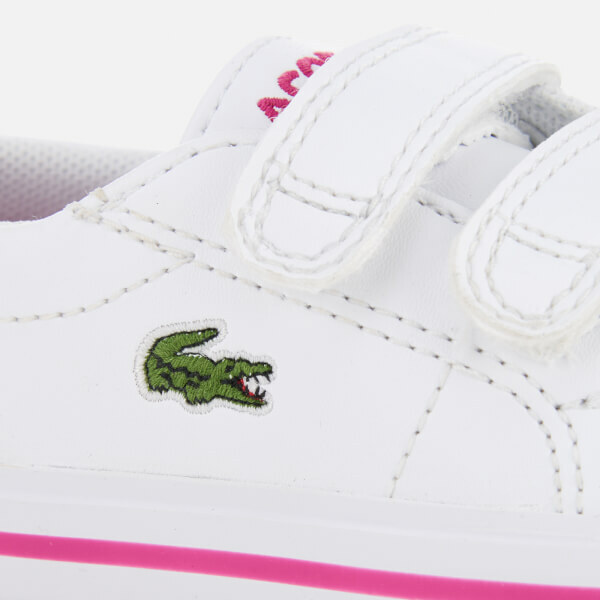 Crafted with leather look uppers, the ‘Riberac 117’ sneakers are detailed with a signature embroidered crocodile logo to the outer sides, dual Velcro straps and embroidered branding on the tongue. 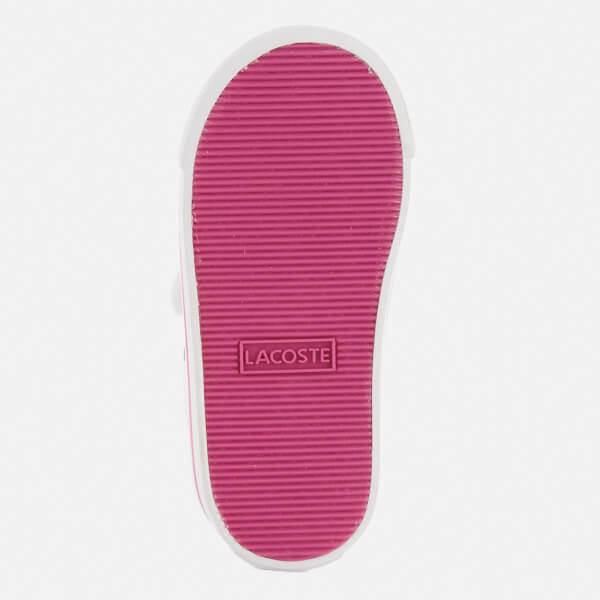 Set on a white rubber sole, the trainers feature a contrast midsole stripe and a textured outsole for optimal grip. 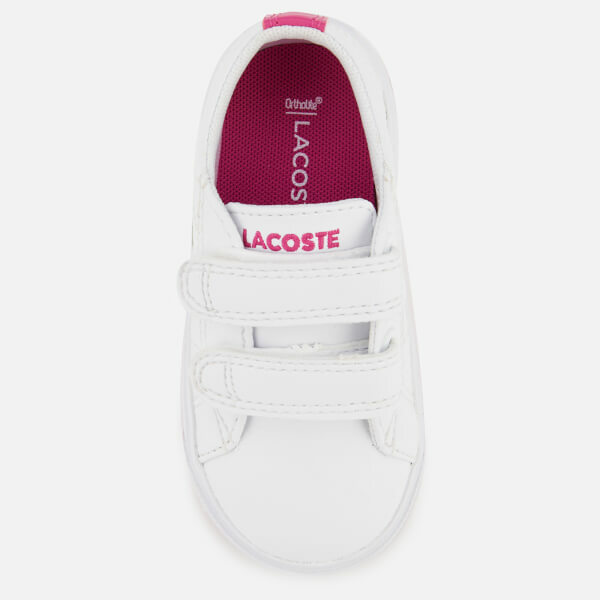 Complete with a logo licence plate on the heel, breathable mesh linings and an Ortholite sole for comfort.